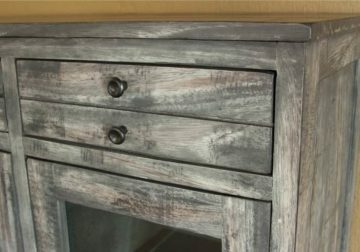 Top made with 100% solid Parota wood. The Parota tree is appreciated for its longevity and vibrant dark golden grain.This type of wood has a natural two-tone that offers unique character in its variations of tone and depth. Featuring quality hand crafted construction on top like finger joints and steel brackets inserted underneath the top to ensure long lasting service and beauty. 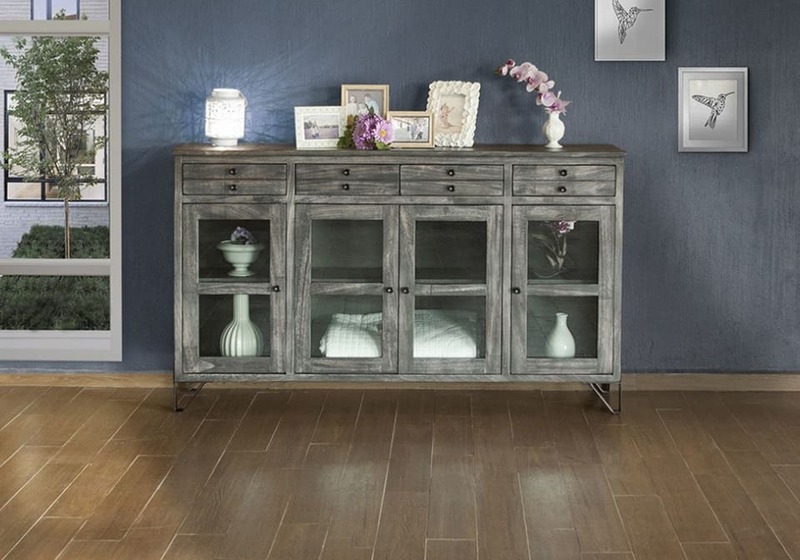 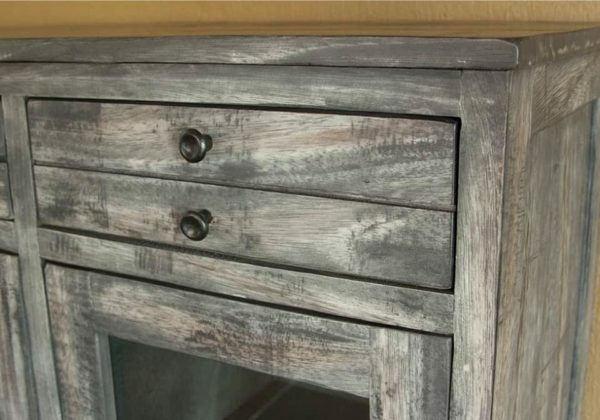 A beautiful, multi-step lacquer finish with a warm gray stain provides character and beauty. 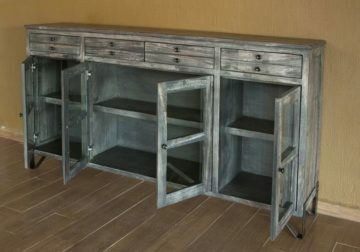 Four drawers, fixed shelf across. Oven treated finish on metal is non-chip.